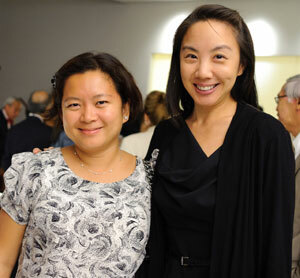 For the tenth anniversary of September 11th, the Asian American Federation presented a series of events providing glimpses into Asian American tragedies and hope due to 9/11. They also reflected on the progress made over the past decade in healing wounds and rebuilding communities, as well as renewing efforts to help with America's challenges that still remain. 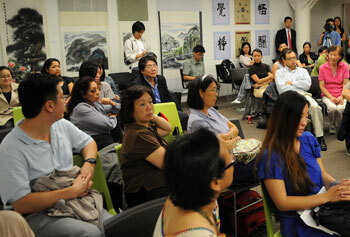 The events showcased a 2003 documentary, Tribute & Remembrance: Asian Americans after September 11th, and featured various speakers, each sharing a different view of 9/11's impact within different Asian communities. Panelists also discussed the significant changes in immigration policy affecting many South Asian/Muslim community members, the almost complete eradication of the garment industry in Chinatown, and the mental health impact on families of victims and Chinatown residents. 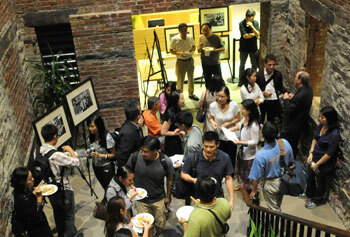 Also on hand were exhibitions of Corky Lee's award winning 9/11 photographs. 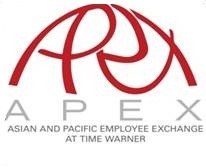 Events were generously supported by AT&T. 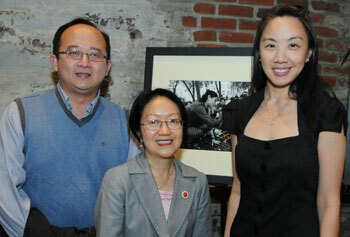 Charles B. Wang Community Health Center's Chief Strategy Officer, Dr. Shao-Chee Sim (left), NYC Council Member Margaret Chin (center) and the Federation's Director of Donor Relations, Michelle Tong (right). 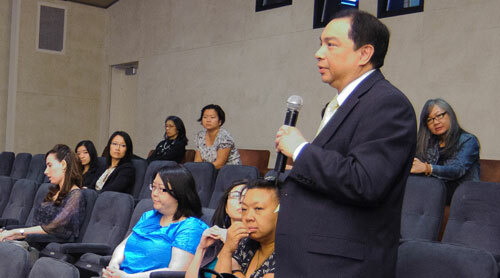 Q&A discussion after the Tribute & Remembrance screening. 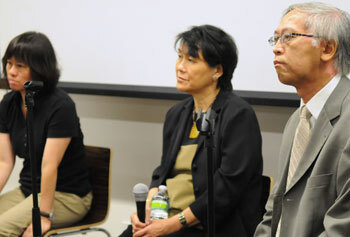 Panelists, Lotus Chao (left), Chief Reporter of Sing Tao Daily News, Sandra Lee Kawano (center), Board Director of Chinatown Health Clinic Foundation, and the Federation's Executive Director, Cao O (right). The Federation's Director of Donor Relations, Michelle Tong welcoming attendees and introducing the film. 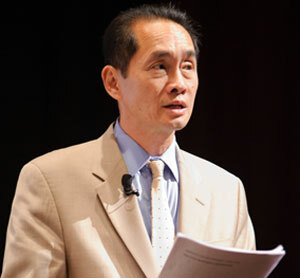 Cao O, Executive Director, gave an overview of the Federation's work on 9/11. 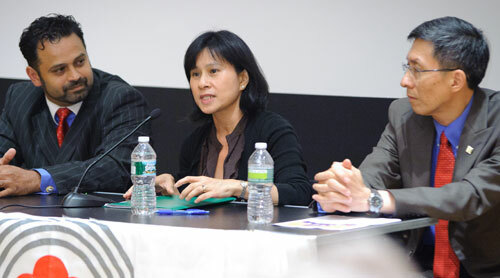 Panelists, Mohammed Razvi (left) of Council of Peoples Organization, Professor Margaret Chin (center) of CUNY, and Wellington Chen (right) of Chinatown Partnership Local Development Corporation. 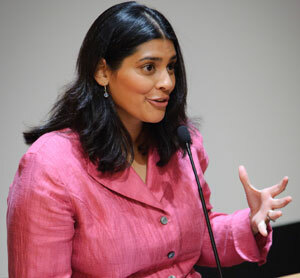 Moderator, Shazia Khan of NY1. 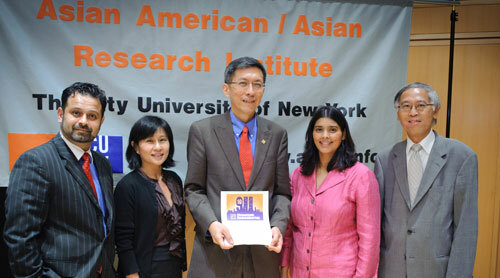 Panelists joined us to remember 9/11 and discuss how to tackle challenges that Asian American communities still face. 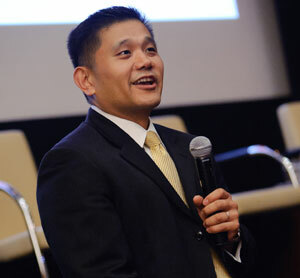 Co-host, Benjamin Kwok of Time Warner's APEX opened the event. 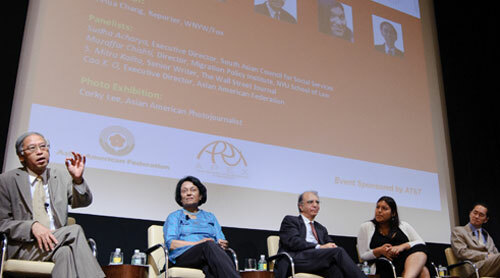 Panelists (from left to right), Cao O, Executive Director of the Federation, Sudha Acharya of the South Asian Council for Social Services, Muzaffar Chishti of the Migration Policy Institute, S. Mitra Kalita of the Wall Street Journal, and moderator, Ti-Hua Chang of WNYW/Fox 5. 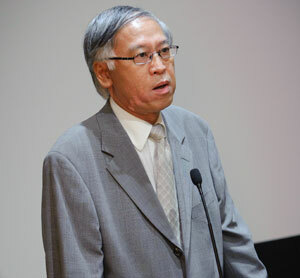 Hong Shing Lee of Chinatown Manpower Project addressing the panel. 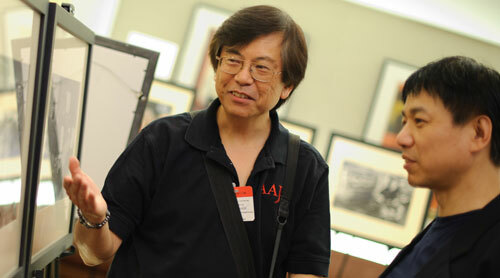 Photojournalist, Corky Lee and his award-winning 9/11 photographs.